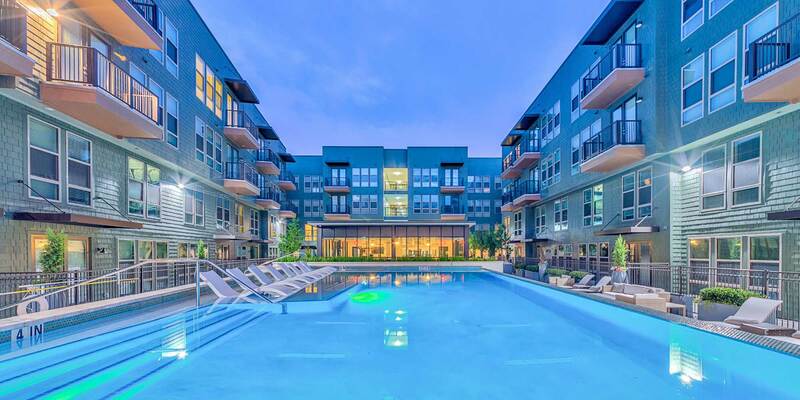 The Ellison is a multifamily development centrally located between East Dallas, the Park Cities and Uptown. The project features a total of 240 units, mixing townhomes and flats. It offers a modern clubhouse and lounge area, fourth-floor rooftop terrace with spectacular views, two central courtyards, resort-style pool, state-of-the-art fitness center and an underground parking garage. The Ellison was completed in early 2018 and is now leasing.